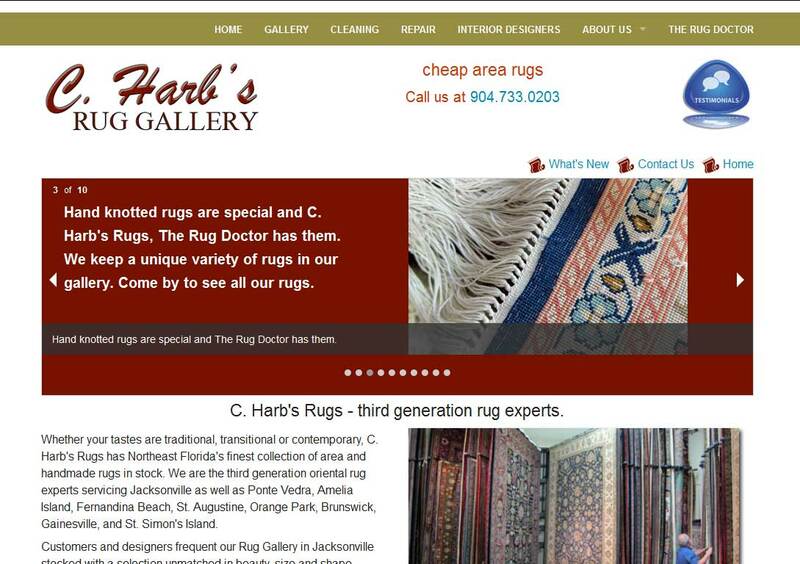 DESCRIPTION: This is a website designed and developed to help promote the area rug business of C. Harb’s Rugs. C. Harb’s Rugs is based in Jacksonville, Florida specializing in area rugs both oriental and Persian as well as hand knotted and antique rugs from many locations around the world. C. Harb’s Rugs also carries a large collection of machined rugs as well as odd shaped rugs you won’t find anywhere else. You can find out more by going directly to their personal website, www.charbsrugs.com, or contact them directly at info@charbsrugs.com or 904-733-0203.